CCC. members are welcome to attend any district meet including ADVA. To help you choose and plan your break, each site in the programme is linked to the sites page or THS page where more detailed information is available . Our sites are mainly located in Buckinghamshire, the Chilterns , Oxfordshire. And are near the river Thames. There are many beauty spots, areas of local history etc To help you get the most out of your rally we have provided a Rally Planning page This provides additional web links which provide a wealth of relevant information on local bus and train routes and timetables, walks and cycle rides , directions and things to do in the area. The web site provides our members with news and events but, AS IMPORTANTLY, it is to advertise ourselves so that we might encourage other campers to join us. 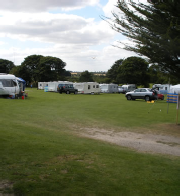 We hold regular weekend and bank holiday meets throughout the season, Generally we use sites with minimum facilities and thus are able to offer some of the most inexpensive camping available (£8-10 /night /unit) and are ideal for an economical family holiday or weekend break.